Total Phase is, once again, asking for your participation in the Survey of Embedded Developers - a survey to learn about preferences and pain points, design environments and tools, and hardware and software choices of embedded developers. Take the survey and help us better help you. Next week. Total Phase will release Data Center™ Software 6.70 for the USB Power Delivery Analyzer . Now engineers will be able to use Windows, Mac OS X, or Linux platforms to analyze the Power Delivery protocol. The Total Phase Data Center Software is a comprehensive, free bus monitoring software package that captures and displays data simultaneously in true real-time. Together with the USB Power Delivery Analyzer, it will allow customers to easily reveal all the details of their product’s power, USB and Alternate Mode negotiation sequences. Note: If you already own a Total Phase USB Power Delivery Analyzer, be on the look out. Total Phase will pro-actively contact all customers that purchased the prior generation power delivery device and offer a no-charge warranty exchange. 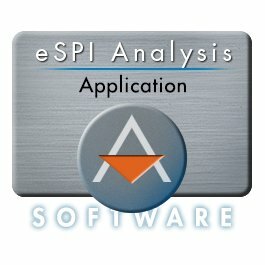 Total Phase is pleased to pre-announce the release of firmware and API updates for the Promira™ Serial Platform eSPI Analysis Application. Available next week, the updated firmware and API will include hardware filters, hardware statistics, and advanced match triggers, which will be available for free download from the website. Total Phase would like to help you speed up the most complicated of embedded design projects. Total Phase has partnered with Embedded Market Forecasters and Wilson Research Group to bring you the 2016 Embedded Developers Survey. Your responses will help all of us better understand the direction in which the industry is headed and the needs that are not being fulfilled. See how your projects compare to others. Upon close of the survey you will have the option to receive a summary of the results. Giving you an in-depth look into the embedded market. Completing the survey also entitles you download access to an insightful white paper entitled "Comparing developer activities between IoT and Non- IoT Developments." Well made. Data Center software is great. Makes troubleshooting USB a breeze. Priced right too. Embedded World 2016 is the world’s largest embedded technology conference for designers, developers and decision makers in the embedded market is being held in Nuremberg, Germany February 22-25. Total Phase will be demonstrating its entire line of products in Hall 4, stand 4-558. In addition to Total Phase representatives, local distributor representatives will be available. Register with e-Code B318991 to get your free exhibit hall pass.